Comments Off on Crime Pays What? Doubtless you are familiar with the phrase “Crime doesn’t pay” but actually is does; just not much unless you are in elected office. 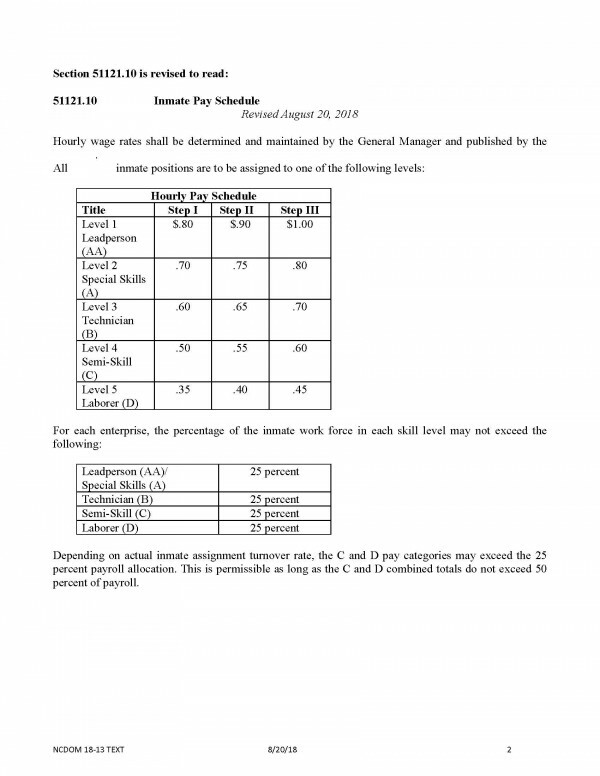 I came across the latest wage schedule of what prisoners earn per hour when working inside the prison system. When compared to what Apple pays people to make iPhones, these guys are really doing well. Depending on which report you believe, Apple pays somewhere between five to thirty dollars in manufacturing costs to assemble each phone. The hourly wage is estimated to be about $1.78. The guy in China making $1.78 per hour is probably having to support a wife and their government permitted one child plus all his household expenses. On the other hand, incarcerated individuals pay no housing costs and get three squares a day. Their income is tax free and used primarily for their own use. They also get free healthcare that is better than whatever you’re getting on the outside. If they had to pay Medicare, Social Security, plus State and Federal taxes, they would have to be paid much more (as a percentage) to clear a dollar an hour in wages. In many cases, taxpayers pick up this slack for guests of the California penal system and pay their families welfare, Obamacare, and other benefits.